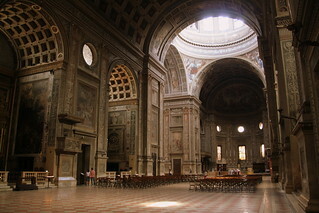 The Italian city of Mantua (or Mantova in Italian) in Lombardy is a major music, art and culture centre. Three pretty 12th century artificial lakes (Lago Superiore, di Mezzo and Inferiore) almost surround the city, which is also known for its Renaissance architecture, medieval Palazzos and opera. 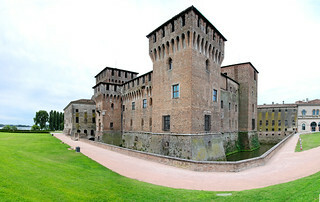 Mantua’s closest airport is Verona-Villafranca and the city is on the main route between Milan and Verona. Its characterful (1873) railway station links it with Cremona, Verona and Modena. Getting around Mantua by bus is easy, but the city mostly lends itself to walking and/or cycling. The city has played host to artists such as Donatello, Luca Fancelli , Peter Paul Rubens, Alberti, Pisanello and Giulio Romano. Giulio Romano’s 1525 Palazzo Te, now home to the Museo Civico, was the summer residence of Frederick II of Gonzaga. Another interesting museum, portraying the life of Tazio Nuvolari the Italian bike/racing driver and 1932 European Champion who was known as the Flying Mantuan (Il Mantovano Volante) can be found at the Palazzo del Podestà. Outstanding frescoes by the Flemish painter Frans Geffels can be admired at the Baroque Palazzo Valenti Gonzaga. Mantua’s famous “Clock Tower” (Torre dell’Orologio) is in the Palazzo della Ragione. Other outstanding Mantua architectural treasures include the Duomo Cathedral, the church of San Sebastiano, the Palazzo degli Uberti and the Basilica of Sant’Andrea. A visit of the Rotonda di San Lorenzo and the Bishops Palace (Palazzo Vescovile) should be memorable, while the Palazzo Castiglioni Bonacolsi and the Bibiena Theateris also recommended. 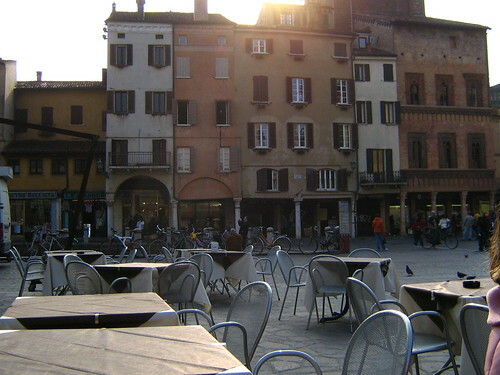 Although Mantua’s nightlife does not compare with livelier Italian destinations (like Rome), there is an excellent selection of restaurants serving decent local fare, many bars and coffee houses, found mostly at the city’s various piazzas.